*NEW Lightweight Alloy Aluminum RCV single, double, and triple reduction size 14 to 30. 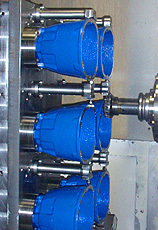 Single Reduction Helical RCV. NEMA or IEC input, Metric or Inch output. 1.14 to 10/1 ratios available. Double & Triple RCV Helical, NEMA & IEC input, Inch & Metric Output, ratios to 303:1 torque to 40,000 in-lbs. Varmec RCV Concentric Helical Gear Reducers from TVT America is a great combination of quality, performance, availability, and price. Near-net engineered cast iron or die cast corrosion resistant alloy aluminum modular housings afford highly automated high precision manufacture while aggressively lowering total cost in a high performance gearbox. Varmec provides a very affordable & available solution. 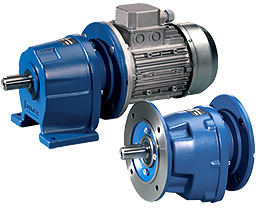 Pump drives - both as gearmotor and reducer. Prestage Ratio multiplier 1.2 to 10/1 single available. Mixing, aeration, emulsifying gearboxes & riduttori. Conveying - belt, screw, drag, slide bed conveyors. Replacement for European Reducers & Gearbox. 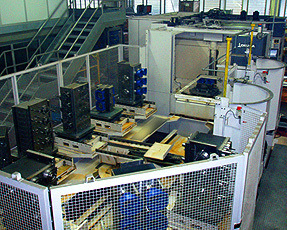 Packaging machinery requiring low noise gear. Windmill - Wind turbine for speed increaser gearbox. Automation - Servo & Induction AC & DC motor drives. RCV is available in a wide range of single, double, and triple ratio combinations, from 1.14 to 303/1, in 13 gear cases to deliver an ideal compact drive package. Housing: Alloy corrosion resistant Aluminum or Polyester Epoxy painted engineered Cast Iron. Flanges: Input & Output flanges of high strength aluminum alloy or Engineered Cast Iron. 167 to 40,000 in-lbs output torque (T2N). P = 0.25 to 75 hp. Single Reduction Clicking on above link will open Varmec catalog in a new window. 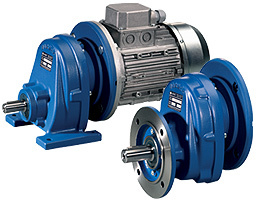 Varmec Gearbox, Highperformance Concentric Helical Gearboxes for use in a wide range of power transmission. Varmec RCV Series is a direct replacement to Bonfiglioli without the long lead time and inflated price. 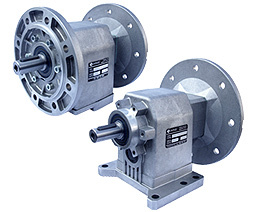 Varmec RCV single reduction is popular for use in pump drives, metric motor conversions are allowed with NEMA input and IEC/metric output provided to pumps and gearboxes.